By now every business owner must understand the importance of having a website presence online for their customers to find information about their business. The most successful business owners also understand that a website is soo much more than just an online brochure or a few static pages that never get updated and just sit there basically collecting internet dust. Customers are very savvy and hungry for interaction and engagement. Additionally customers are usually lazy when it comes to making a purchase or choosing a business to hire for their services and they need you to hold their hand in a way to direct them through your sales funnel. If you do it well you will be rewarded with high conversion rates and new sales. If you do it poorly or not at all then the only people calling your phone or filling out your contact forms will be spammers looking to sell you something. Your Website Absolutely Needs This! So what does this mean for your website and the big question of the day “What is the most important element for your website?”. Just before we answer that question (we receive this question a lot), a quick note that there are obviously many important elements to go into an effective online web presence and digital marketing strategy and the priority or level of importance for certain things is different from industry to industry. That being said, the most important element of your website that is universal across all industries is the call to action button or buttons. When you brainstorm your company’s website design and functionality, it is crucial to always think about what the end goal is for the site or page you are working on at the moment. If you are working on your home page, stop and think about what exactly you want to achieve from a potential customer that lands on that page. The overall design and look and feel is secondary to the funnel that accomplishes your goal. If you want them to fill out a form to get an estimate then that needs to be in prominent view and not requiring scrolling or clicking close on a popup etc. The second component of this is that your action needs to have a very clear call to action. This should consist of one or two parts. If one part, that would be a button. That’s right, not a paragraph of instructions or a bunch of images but just a button with a clear instruction such as “Click here for a FREE estimate” or “Get a quote now in seconds”. 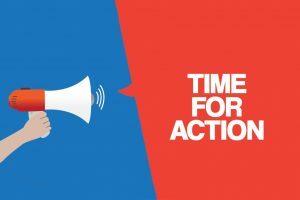 If your call to action is to consist of two parts, let’s say a heading above a form, then the form and button at the end then you will want to have the heading and the button clearly tied together as one instruction. In this example, the heading could be “Fill Out The Form for An Estimate” and the button stating “Send Me My Free Estimate” or something of that nature. It is amazing how many times over the years we have discussed with business owners the goal of their page or website and often they either are not sure (no problem, we can help with this) or they have an idea but they instruct us to design everything on the page in a way that pretty much hides their call to action. This is a sure fire way to lackluster results. At Creative Designs, we have worked with more than 3000 clients from around the globe in pretty much every industry you can think of and one thing has remained constant. Our clients who clearly define a goal for their website or page and stick to creating a funnel for that goal experience tremendous success. Those that don’t unfortunately end up purchasing a “closed for business” sign or return asking what went wrong with their website. Our recommendation is always to focus on the clear goal that you have defined and build everything around that in order to create a customer magnet and super sales funnel. When incorporating your goal-oriented website and web pages with the right software to manage leads, sales, invoices and online payments etc. you can create a very well-oiled machine that churns out some industry-leading sales figures quarter after quarter. If you have a website that is not performing and is just sitting there in cyberspace with less activity than a dirt road in the middle of a forest then give us a call or shoot us an email. We have the experience and team to transform your website into a sales rock star!